Legendary. I’ve heard this word used far too many times by Barney Stinson on How I Met Your Mother to describe even the most mundane things, and along with many other people, I’ve lost sight of what this word truly means. But when thinking about Ichiro’s baseball career, I couldn’t think of a better word to describe it than “legendary”. At his peak, Ichiro was the best pure hitter in the game, and this peak lasted ten years in the MLB. There are really two ways to think about Ichiro’s career: his 19-year MLB career and his 28-year professional baseball career. After dominating Nippon Professional Baseball (NPB) in Japan with the Orix Blue Waves, Ichiro took his talents to America for a greater challenge. Prior to this move, Ichiro batted .353 / .421 / .522 with 118 home runs, 1278 hits and 384 walks to 333 strikeouts in Japan. Deciding to play in the MLB starting in the 2001 season, the Mariners were more than happy to take a shot on Ichiro. Ichiro won three straight MVP awards while playing in the NPB. 2001 was a much different time in baseball history. Ichiro was quite literally the first position player from Japan to ever to appear in a Major League Baseball game. 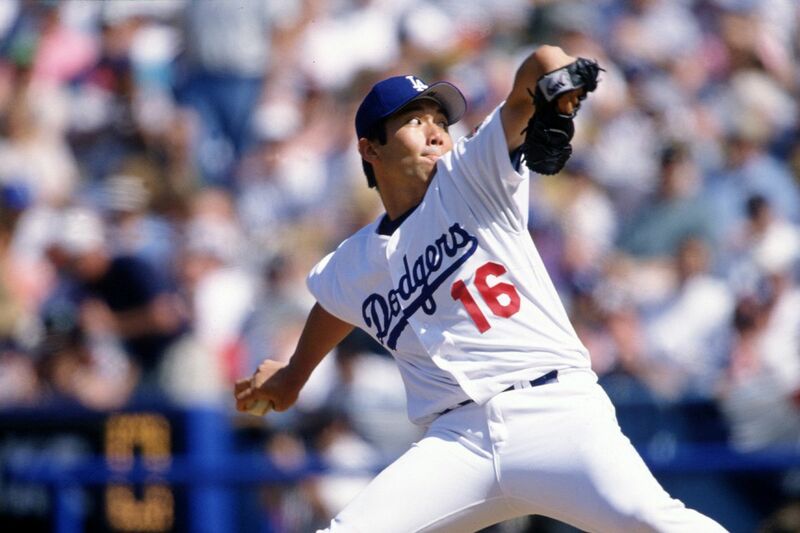 Making his debut on April 2, 2001, he followed only 10 players from Japan before him, all of which were pitchers. Since his debut, 14 other position players from Japan have played for MLB teams, some of which include long time Yankee slugger Hideki Matsui, journeyman outfielder Nori Aoki, and of course two-way phenom Shohei Ohtani. Despite the fact that only 15 position players from Japan have played in the MLB, there have been far more pitchers to make the cut. 44 pitchers (including Ohtani) have appeared in the MLB and many have found great success. Hideo Nomo and Kazuhiro Sasaki won the Rookie of the Year in 1995 and 2000 respectively. Yu Darvish has been an All-Star four times and what most people might not realize is that he is the fastest pitcher in MLB history to reach 1000 career strikeouts (812 innings). There have also been three no-hitters pitched by Japanese pitchers in the MLB, two from Nomo and one from Hisashi Iwakuma. As you can see, there has been a lot of success from Japanese-born pitchers in MLB history, but the same can not be said about hitters… well at least not for those who aren’t Ichiro. Ichiro had success in the MLB from the moment he stepped onto a field, and the fans across America took note. Of the 13 All-Star Game selections by Japanese-born positional players, 10 were from Ichiro. The other three came from Matsui (in 2003 as a starter and 2004) and Kosuke Fukudome (in 2008 as a starter). In Ichiro’s 10 All-Star Games (from 2001 to 2010), he was named the starter EVERY year except for 2005, as voted by the fans. He proved in the games that he belonged, too. In 2007, he was named the All-Star Game MVP after hitting the only inside-the-park home run in All-Star Game history. Thanks to a friendly carom off the right field wall, Ichiro circled the bases in approximately 16 seconds and scored with relative ease. Feel free to watch Ken Griffey Jr.’s feeble attempt at preventing him from scoring here. Although what Ichiro has done compared to other Japanese-born position players in the MLB is remarkable, what Ichiro has done compared to all MLB players throughout history is what makes his career truly legendary. Ichiro hit the ground running in his rookie year in 2001. He won the Rookie of the Year award, MVP award, was named an All-Star, won a Gold Glove, won a Silver Slugger, and led the league in hits (242), stolen bases (56), and batting average (.350). Not bad for your first season in a new country. Ichiro continued to beat teams in all facets in the game during his career, whether that be as a hitter, baserunner, or fielder. At his best, Ichiro could do anything he wanted with a bat in his hands. Third baseman sleeping? Ichiro drops a down a bunt. Pitch him outside? Ichiro bloops a single into left. Jam him inside? Ichiro pulls the ball just over the right field wall. From his appearance, you wouldn’t think he would come with much power. But anyone who has seen Ichiro from a more personal level knows what kind of strength he has. Ichiro standing at the HOF’s commemoration of his record breaking 262nd hit. Ichiro himself has been quoted saying that he doesn’t try to hit home runs in game. He finds beauty in infield hits because of the technique they require. And he truly mastered the technique of hitting. Ichiro led the league seven times in hits, most notably in 2004 when he set the MLB record for most hits in a single season with 262. This broke George Sisler’s 84-year standing record of 257 hits. Leading the league in hits seven times is also second only to Ty Cobb’s (8 times), and is tied with Pete Rose and Tony Gwynn, who also have seven. In his career, Ichiro set many other hitting records. He holds sole possession of the record for most interleague hits (367) and most consecutive seasons of 200 or more hits (10, 2001-2010). He is also tied for the record for most seasons with 200 or more hits (10, 2001-2010) and most games with five or more hits in a season (4, 2004). And of course, in 2016 Ichiro became the 30th career member of the 3,000 hit club (since then, two more players have become members to this exclusive club). What is incredible is that Ichiro accomplished this feat beginning his MLB career at age 27. He ended his MLB career with 3,089 hits and if you include his hits from his days with Orix, Ichiro had 4,367 professional baseball hits. That is over 100 more hits than Pete Rose, the MLB record holder for most career hits, had in his career (4256). Aside from just the sheer volume of hits Ichiro complied, what made him even more of a star while playing was his ancillary qualities. Ichiro played the game with elite speed, especially on the base paths, making him a threat from the leadoff position. From 2001 to 2011, Ichiro stole at least 30 bases 10 times, only failing to do so in 2009, with 26. He also led the league in stolen bases in 2001 with 56. On top of his sheer ability to steal bases, Ichiro also did it with great efficiency. He holds the American League record for most consecutive stolen bases without being caught (45). Combining his incredible on-base ability with his lightning quick base running, Ichiro was the most dynamic catalyst atop fearsome Mariners lineups of the 2000s. On the other side of the ball, Ichiro brought excitement to right field during a time of otherwise lackluster defenders. During the time of Ichiro’s emergence in Major League Baseball, right field was the position you would stick your slugging 5-hitter, the one that complemented your cleanup hitter that is already entrenched at first base. The best of the right fielders were the likes of Jermaine Dye, Magglio Ordonez, Sammy Sosa, and Larry Walker. While these sluggers were excellent at the plate, their defense was not anything to write home about. Enter Ichiro, a man who accumulated all of those hitting statistics and awards his rookie year that combined these with elite defense. During his first ten seasons (2001-2010), Ichiro won a Gold Glove every year. Thanks to lightening quick reflexes and a cannon of an arm, Ichiro was a perennial lock for the defensive hardware. He even won the Fielding Bible Award three times during his career. (This award, which began in 2006, differs from the Gold Glove by awarding the best player at each position across the entire league rather than the AL and NL). Ichiro had one of the most signature batting stances during his career. Ichiro had a clear peak in his career, but his longevity is what will make him remembered as legendary. Ichiro played 28 years of professional baseball, retiring at the age of 45. To put that into perspective, the average age of hitters in 2018 was 28.5 years old. That means the average MLB batter was born the SAME year Ichiro began his professional baseball career in Japan; and it’s been quite productive. Despite a decline later in his career, as most players have, if you were to combine his NPB and MLB statistics, Ichiro’s statistics stand out. Of the 19,118 players to play in the MLB (since 1876, according to baseball-reference), he would be considered 1st in games played, 2nd in plate appearances, 1st in hits, 7th in runs scored, 26th in doubles, 11th in stolen bases, 47th in batting average, and 5th in intentional walks. Only 46 players played in more All-Star Games than Ichiro and only eight players won more Gold Gloves throughout their careers. Ichiro clearly should and will be a first ballot Hall of Famer. You can’t quite compare Ichiro to any other baseball player throughout history, and I think that’s what makes him so great. If you look at some of the greatest players in MLB history (Babe Ruth, Barry Bonds, Hank Aaron, Sandy Koufax), the best comparisons to these players are really just themselves. Elite, nay, legendary baseball players have no historical comparison, helping their legacies stand the test of time. It’s hard to truly measure the effect Ichiro has had on the game of baseball over the past 28 years, but what is well known is the effect he has had on fans. Worldwide, Ichiro is arguably the most beloved baseball player ever. As shown in the incredible enthusiasm during in his final game, the pride of Japanese baseball rests on the shoulders of this man. Not often does one person has such an effect on two different countries, two different cultures, but Ichiro was able to do that. And he did, not by trying to be some figure that people idolize, but by simply doing what he loves: playing baseball. And that, I believe, it is truly legendary.